In football-starved India, millions of fans are standing for their ‘Doosri County’, following icons and supporting teams. On ground zero in Russia, there are migrant players who have donned the colours of their ‘Doosri Country’ as the top 32 teams battle it out in the FIFA World Cup 2018. There is no dearth of football stars seen in the ongoing FIFA World Cup 2018 in Russia who are playing for their adopted country. Diego Costa for Spain, Pepe (Portugal), Ivan Rakitic (Croatia), Hakim Ziyech (Morocco), Hakim Ziyech (Morocco), Kalidou Koulibaly (Senegal), and the Moroccan captain Medhi Benatia are a few to name from among the 83 “foreigners” representing the European teams in Russia. One thing is common among the names mentioned above. These migrant players have pledged allegiance to a Doosri Country other than the nation where they are born. While some have moved on in order to tap better opportunities and career growth, something they could not find in their homeland, there are many who have fled their country marred down by rising geopolitical tension, war, economic breakdown, civil unrest, in search for security and better living conditions. Many of them face hostility and discrimination in their adopted nations. 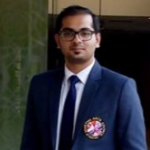 However, still many among them have left the disparity aside to bring laurels and accolades to their second home in various fields of profession. Now coming back to the FIFA World Cup 2018, you will be surprised to number the percentage of such ‘migrants’ representing their ‘Doosri Country’ in Russia. The European teams participating in this edition of quadrennial event feature unprecedented figures when it comes to the ratio between the naturalised migrants and the natives. 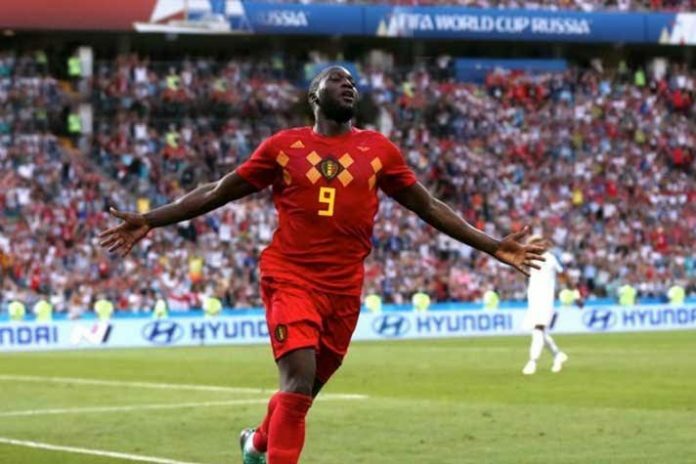 Facing rising hostility in Western Europe, these migrants are massively overrepresented in the region’s world cup teams compared with the overall population and are powering the European football to reach the unprecedented levels in the international arena. 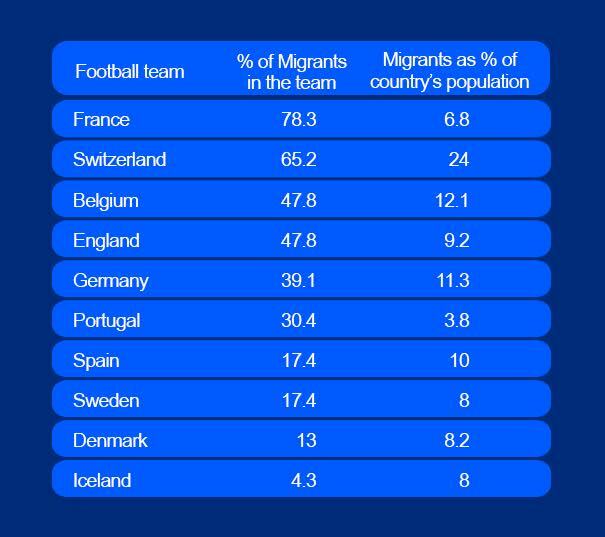 As many as 83 players out of 230 players representing 10 European football teams – France, Switzerland, Belgium, England, Germany, Portugal, Spain, Sweden, Denmark and Iceland – are migrants. A whopping 78.35% of the French national team constitute migrants representing France’s 6.8% migrant population. Next in the list is Switzerland with 65% migrants in their national football team. The beautiful Alps nation has 24% of the entire population represented by migrants. Iceland has the lowest percentage of migrants in their national squad – 4.3%. The Nordic country with just a mere 348,580 population has 8% among them as migrants.